Are you ready for an epic adventure in central America? Follow this Guatemala itinerary through rural Guatemala to top backpacker hubs. 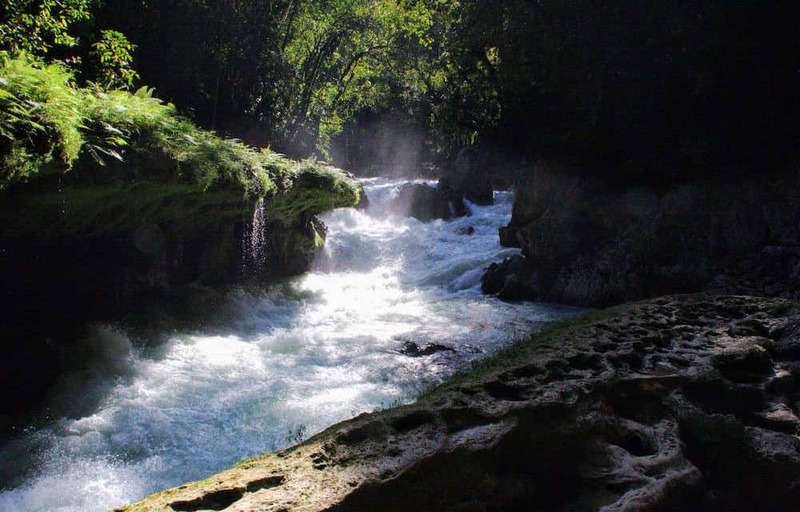 You will have the opportunity to hike volcanoes, swim in crater lakes, go ziplining and wander around ancient Mayan ruins. 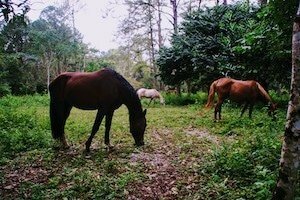 Maybe you’d like to go wildlife spotting in the jungle? Or would you rather cruise on a motorboat through canyons while spotting a variety of birds leading you to the Ocean? But beware, you might fall in love with this amazing little country just like we did! 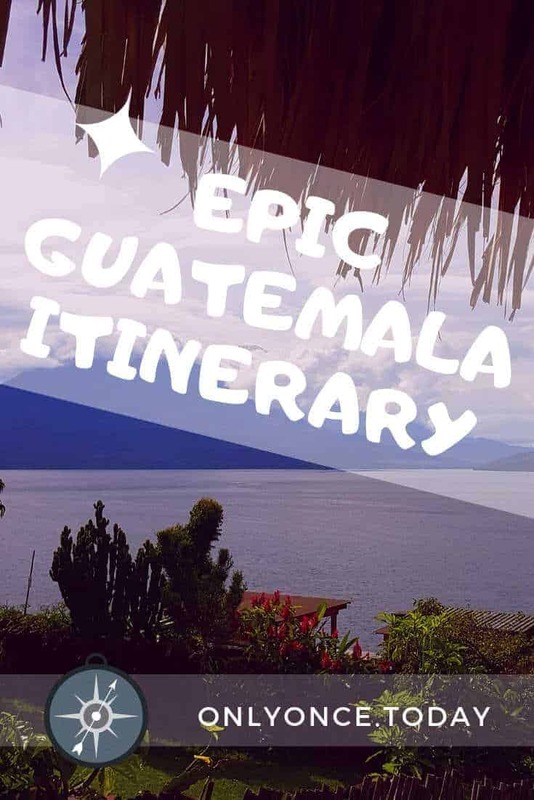 Check out our Guatemala backpacking guide for more profound info and more travel tips to make the most out of your time there. Do you like to travel in the comfort of a group with an experienced guide? Check out the Guatemala Experience. After crossing the border from Belize into Guatemala our first stop is popular backpacking hub Flores. 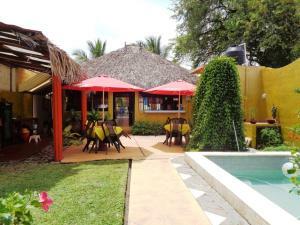 The most charming part of town is located on a small island on Lake Peten Itza. It is a cute little place where you can enjoy the backpacker vibe. Walk around town and take in the stunning views. Don’t forget to try out Jorge’s rope swing as we did! Flores is also called the gateway to the Mayan world. From Flores, it is easy to explore ancient Mayan ruins like Tikal, Uaxactun, and Yahxa. It can get pretty crowded in Flores as it is so tiny and a lot of people want to visit it. The last time we visited El Remate was on our first backpacking adventure in Guatemala. It was in 2012. In my memory, El Remate was nothing more than a deserted dirt road with a restaurant and a couple of houses. We arrived there in the pouring rain, discovering that our raincoats did a very lousy job at keeping us dry. After crowded Flores, we enjoyed the peace and quiet of El Remate a lot. We went to the Ruins of Yaxha at sundown and that is most definitely the right time to go!! El Remate is getting more popular and so there are some more activities than in 2012. Some of the offered activities include zip-lining and kayaking. Omdat we het plattelandsleven en de rust in El Remate zo leuk vonden, besloten we om onze volgende stop in dezelfde stijl te houden. Finca Ixobel in Poptun is onze volgende stopplaats. Deze rurale Finca heeft alles wat je nodig hebt en een ligging in het midden van de natuur. 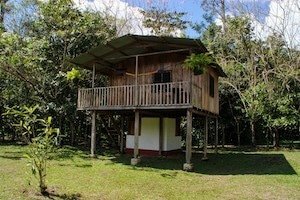 Lijkt het je wel wat om te zwemmen in een natuurlijk gezuiverde vijver of om een lange wandeling in de Guatemalese jungle te maken? Of misschien wil je wel een tocht te paard maken. Dit alles en meer kun je doen vanuit Poptun en Finca Ixobel. Zelf vonden we het zo leuk op de finca dat we er meer dan 2 weken bleven plakken. De Finca heeft een eigen bakkerij en je kunt er iedere dag aanschuiven voor heerlijke huisbereide maaltijden. Poptun zelf stelt weinig voor en het dorp is dan ook niet de reden om hier naartoe te reizen. Je kunt er wel je was gaan doen en wat inkopen, maar de finca is zonder twijfel de reden van ons bezoek aan Poptun. 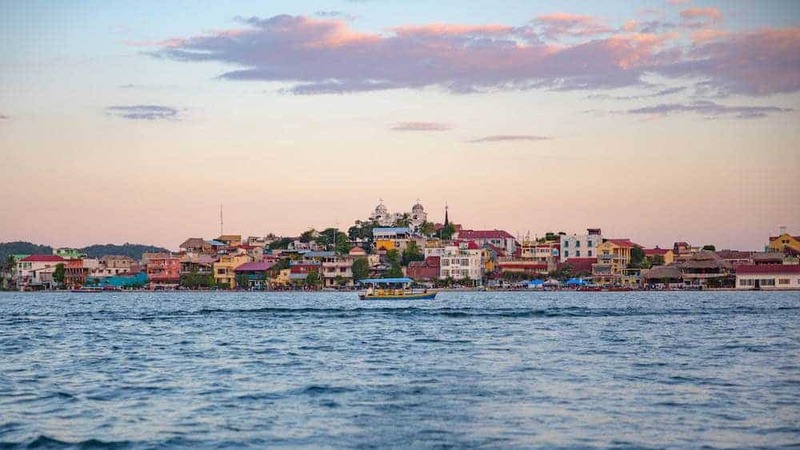 Where the Rio Dulce flows into the Gulf of Honduras you can find Livingston, a laid-back town with a reggae vibe. An excellent town to savor the Caribbean side of Guatemala. We visited it as a day trip from our cool riverside hostel Finca Tatin. but you can also spend the night in Livingston. 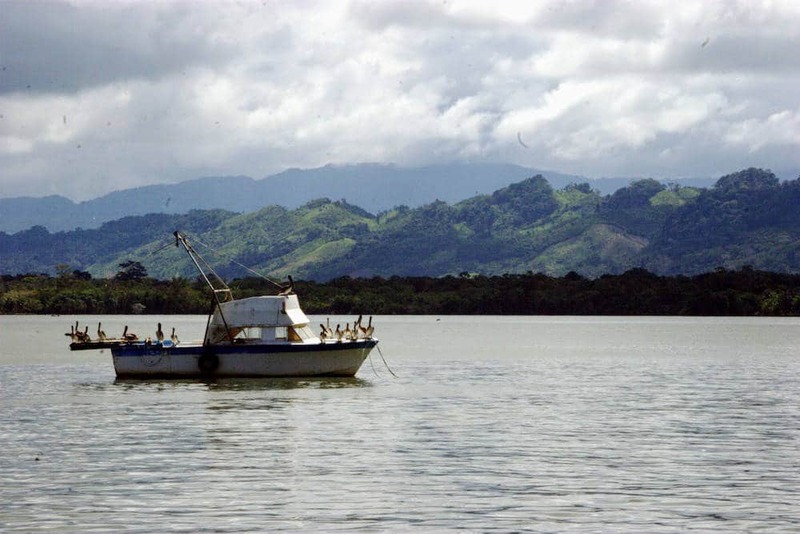 For us, the boat trip from Finca Tatin to Livingston was maybe even better than Livingston itself. The views of wildlife and nature are simply amazing! 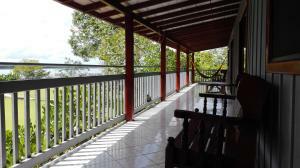 Our hostel is located in the middle of the jungle, only reachable by boat. We are both afraid of spiders but we (tried to) put that fear aside and enjoy our stay in the jungle. If your up for it you can take a jungle tour at night to spot some of the wildlife. Want to know more about this part of the trip? 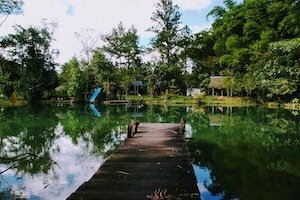 Take a look at this article about Rio Dulce. Openbaar vervoer in Guatemala - Reis door Guatemala als een local! A very bumpy and long ride took us to Lanquin. 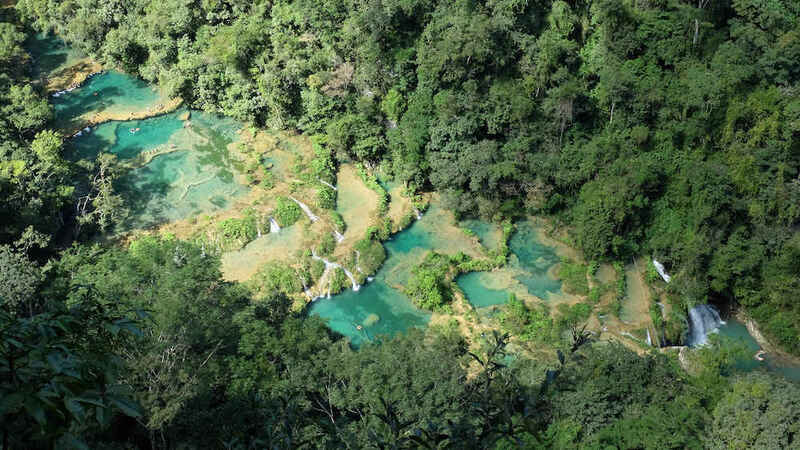 The place to be if you want to visit the natural wonder Semuc Champey! 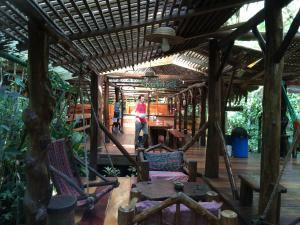 Our hostel was El Retiro Lodge and we loved our stay there! Situated next to the river Cahabon, these lodges are the perfect place to relax. We had a really fun day tubing the river whilst enjoying some beers. There is a restaurant on site. You don’t have the opportunity to go shopping or anything else here. There is only nature surrounding you! So make sure to bring some cash to pay for your stay, day trips, and food. 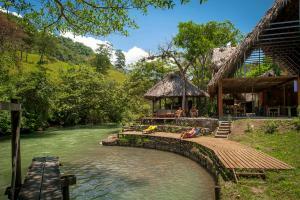 The hostel (just like any other hostel in Lanquin) organized a day trip to the natural pools of Semuc Champey. Don’t miss out on all the swimming fun and make sure to go on the cave tour. Antigua is the capital for backpackers in Guatemala. From time to time you see more backpackers than locals wandering the streets of this very charismatic city. In spite of this, we lost our hearts to Antigua and returned multiple times over the years. There are so many amazing things to see and do here that we dedicated a whole post to top activities and sights in Antigua. Lake Atitlan is one of the most popular places to visit in Guatemala. It has such a magical vibe that we visited it a couple of times and even decided to rent a studio there for a couple of months. It’s just that amazing! This crater lake set in the Guatemalan highlands has views that make your jaw drop and some of the best sunsets I have ever seen. It is surrounded by many towns which all have something different to offer their visitors. You get around the lake by water taxi which is an adventure on its own. If you are wondering what area is the best fit for your stay then check out our guide about the different towns surrounding Lake Atitlan. 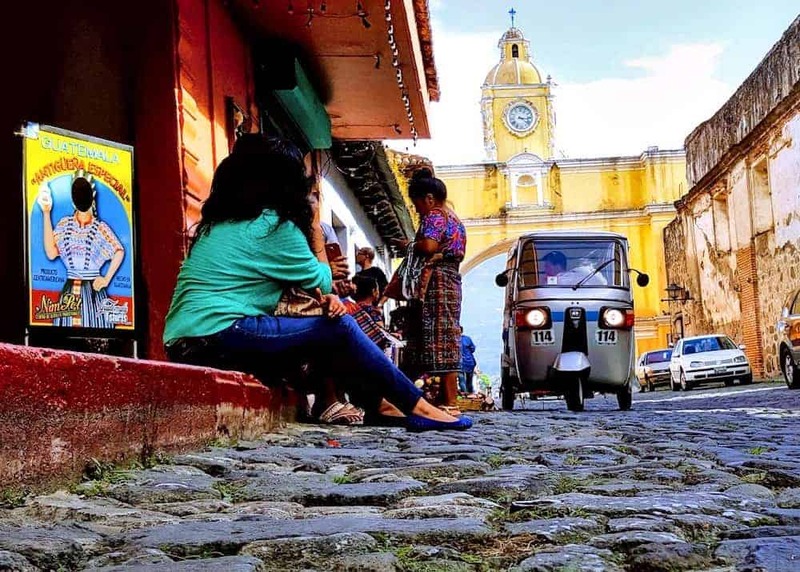 Mingle with locals and other travelers alike in this interesting Guatemalan city. A great place to shape up your Spanish or hike up a volcano. Quetzaltenango has plenty of restaurants and cute little cafes where you can chill. There is a big local farmers market with fresh meat, veggies, fruits, etc. On colder days I can recommend a swim in the hot springs Fuentes Georginas. Hitchhiking there and back is half the fun of the trip! 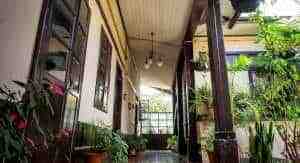 Hostels aren’t that luxurious as in Antigua, but you can find a decent bed at a good price. 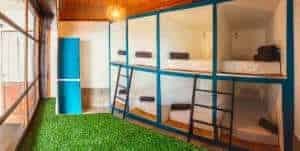 Most hostels in Quetzaltenango also operate as a travel agency so you can book a lot of different tours via the hostel. As well as transportation to your next destination. The market of Chichicastenango is a must-do if you plan on taking or sending home some truly awesome Guatemalan travel gifts! It is the place to be to get fabrics, masks, belts, bracelets, paintings and much more. The market is very big and you can easily spend a couple of hours wandering around. Even if you don’t have the intent to buy something it is worth a visit. 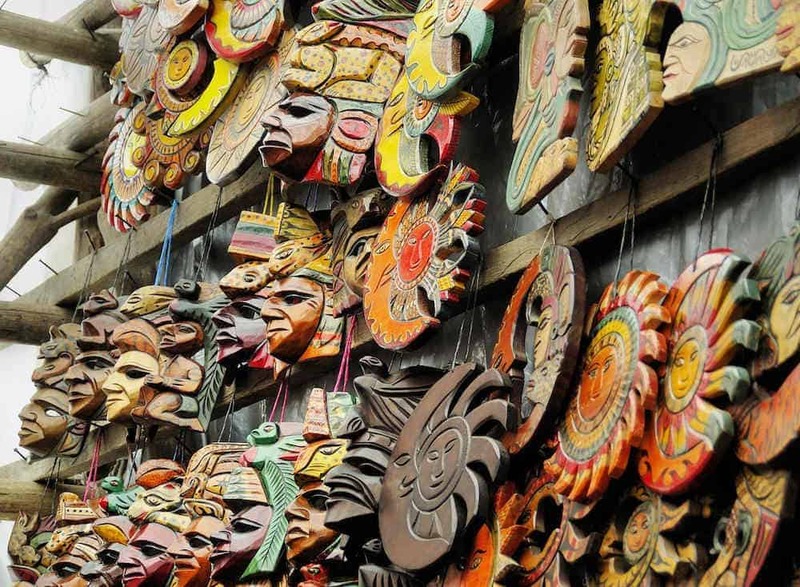 Witness the vendors and tourists haggle over prices, breath in the atmosphere and be amazed about all these pieces of art created by human hands. 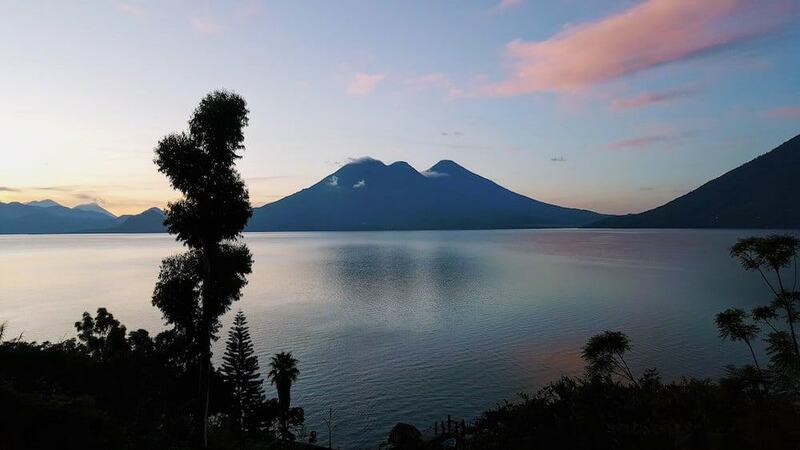 A day trip can be arranged from almost anywhere in Antigua, Quetzaltenango or Lake Atitlan. Monterrico and El Paredon are the only places on this list that we didn’t visit ourselves. 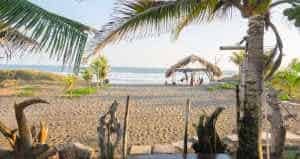 But I include these beach towns on the Pacific side to make this Guatemala travel itinerary a little more diverse. The beach of Montericco is made of black volcanic sand which gets pretty hot. The waves are strong and sometimes there might even be a severe undertow. Nonetheless, it can be a nice destination if you want to hear the waves crashing, eat some fresh seafood and see baby turtles hatching. Monterrico also has mangroves where you can go wildlife spotting. El Paredon is most famous for its surfing and has some killer waves! Therefore it is a backpackers and surfers paradise. We’ve traveled a couple of times to Guatemala and we will probably go back there again. There is just so much to see. We’ve had a great time discovering this country and we wish the same for you! 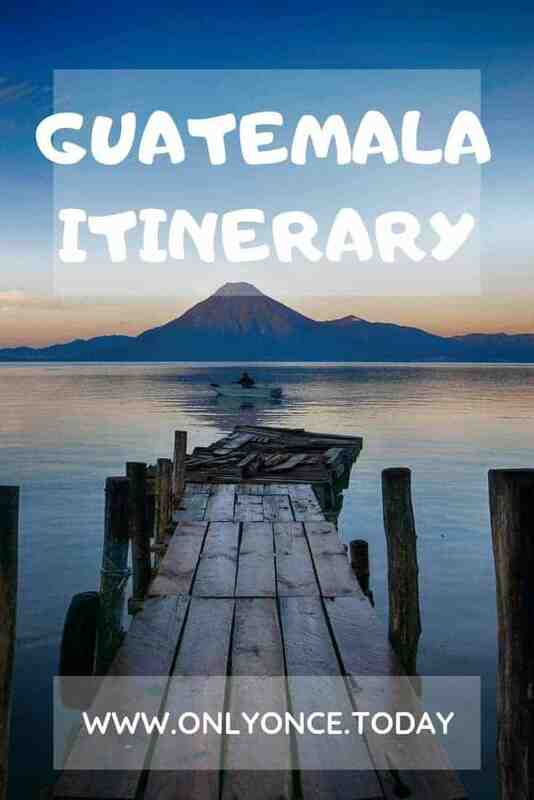 I hope you like this Guatemala itinerary, and that it can be of help planning your trip. Here are 10 Reasons why Guatemala should be in your Central America itinerary. And if you need some extra travel tips about Guatemala you can check out our post with interesting facts about Guatemala. Let us know how you liked your trip and if you think there is anything we should add to this travel route.